Torque Capacity: 0-600 in. lbs. Steps Of Graduations: 25 in. lbs. Overall Weight (lbs. ): 2.75 lbs. Sturtevant Richmont Flat Beam M Series torque wrench. Model: M 150 I Torque Capacity: 0-150 in. lbs. Steps Of Graduations: 5 ft. lbs Square Drive: 1/2'' Lever Arm Distance: 18.0'' Weight: 3.75 lbs. The 850247 Sturtevant Richmont Flat Beam M Series Torque Wrench, SAE is one of thousands of quality tooling products available from MRO Tools. Please browse Sturtevant Richmont Flat Beam M Series Torque Wrenches for tools similar to the 850247 Sturtevant Richmont Flat Beam M Series Torque Wrench, SAE. 850247 Sturtevant Richmont Flat Beam M Series Torque Wrench, SAE description summary: Sturtevant Richmont Flat Beam M Series torque wrench. Model: M 600 I Torque Capacity: 0-600 in. lbs. Steps Of Graduations: 25 in. lbs Square Drive: 1/2'' Lever Arm Distance: 13.5'' Weight: 2.75 lbs. 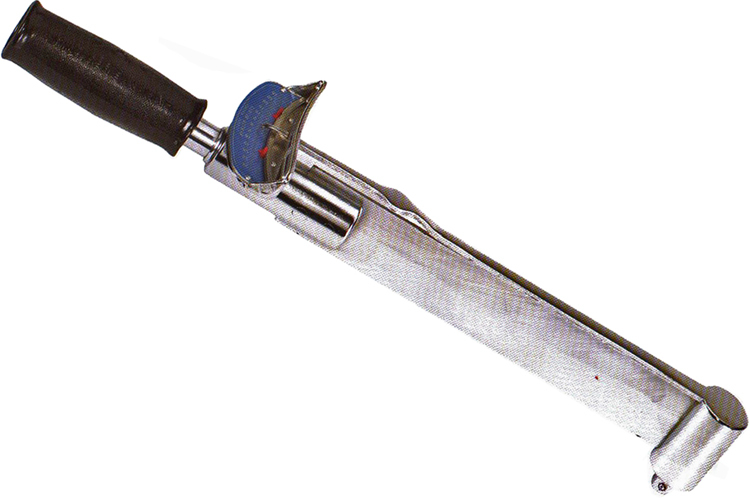 Quantity discounts may be available for the 850247 Sturtevant Richmont Flat Beam M Series Torque Wrench, SAE. Please contact MRO Tools for details.